There are a huge number of truly unrecognized composers in synthwave. Their albums rarely get reviews, they don’t have enough support on streaming platforms, they don’t take interviews and they never gave live performances to the public in their lives. Ray Gun Hero is one of these composers and he released his first long-awaited full-length album «Plethora» recently. In honor of this event, we decided to interview him in the Q&A format. His music has an unforgettable atmosphere, rhythm and sound. Just listen to Your Eyes, Midnight Angel or Robot Disco and you’ll understand everything right away. His special style pierces the soul and sinks deep into the mind. It’s not just music. These are real emotions straight from the 80’s, carefully transferred to the sounds. Ray Gun Hero shared his opinion about his new album, told about his real life, and also announced his plans for the future in this interview. It turned out to be incredibly interesting and sincere. We hope that you’ll be pleased to read it. RETROWAVER: Hello, Todd! Can you introduce yourself to our readers who still don’t know you yet? Ray Gun Hero: My real name is Todd Smith and I go by the name Ray Gun Hero. I live outside of Boston in the US and I’m an avid synthwave fan and lover of all types of music. From classical to hard rock. I began producing synthwave early 2016 and see many more years of producing synthwave. I have not seen any interview with you. Do they exist at all? No. This is actually my first music interview so I was excited you asked me for one! First of all, I want to talk about your new album «Plethora». And the first question is: why did «Plethora» released 5 days later than the announced date? There was a minor hiccup on a track in the mastering process and something had to be reworked. In combination with last minute travel for my day to day job I was forced to push the release a week on Bandcamp. Can’t fail to note that you have paid attention to vocal tracks and the collaborations with other producers. Can this be considered as an experiment? If so, was it successful? The vocal tracks were a total experimentation for me to be honest. I wrote the lyrics for all of the tracks and reached out to some singers to collaborate with. I really didn’t know what to expect. The first collaboration I did was with GlitterWolf out of the UK. I sent them the instrumental for «Prom Night Mystery» along with the lyrics and a recording with me doing the vocals. This was just so they understood the flow of the vocals I was looking for. I must say, GlitterWolf absolutely killed the vocals on that track! Mike Orvis has an amazing voice. When they sent me the vocals back I was blown away. The other 2 vocal tracks «Droids and Dreams» and «Come With Me» were collaborated with Bea Bernocchi. I was connected with her via my mastering engineer Frank De Jong at Hal 5 Studios in Amsterdam. Bea is from Italy and actually a student of his at the school of music in Amsterdam. She is currently studying to become an audio engineer herself. But as you can see she has a great voice as well. These were her first vocal tracks ever put on an album an I’ll be doing more collabs with her in the near future. I think the experiment was successful and I learned a lot during the process. There are some things I will do differently on future vocal tracks. You can never stop learning and trying to improve. That methodology I apply to every aspect of my life. How long did it take to make an album? The album took about 4 months to actually create. I have limited time for music production with having a full time career and family. Late late nights for me. A little bit. I wanted it to have a bit of a cyberpunkish feel. A dystopian future where humans and androids integrate in one society. I set out to create something unique, a blended hybrid of synthwave and some modern elements. I’m not sure if I achieved that. Only my fans can be the judge. I know the «Prom Night Mystery» track does not fit that theme, but I loved the track so much I added it as a bonus track at the end. I came up with the idea of turning Ray Gun into a comic book character hence Ray Gun being on the cover of the album. I have some crazy ideas for future works and we’ll see what happens. I’m not sure if Ray Gun will be on future covers, but expect the unexpected from me! You said that Ray Gun is a comic book character. If so, could you tell his story? Ray Gun lives in a distant future and fights against the rule of artificial intelligence. Humans no longer rule the world and has been enslaved by AI, machines, cyborgs etc. Ray Gun is leading the last fight against this artificial intelligence in an effort to save humanity. What do you think about your own album? Are you pleased with the result or there is something you don’t like ? I’m rather pleased with the album, but already looking forward to my next release. Many of these tracks were written and produced late last year and since then I’ve learned different producing techniques that have improved my skill set. I am the type of person that always strives to do better and I know I can produce better music. Okay, let’s go directly to your life. 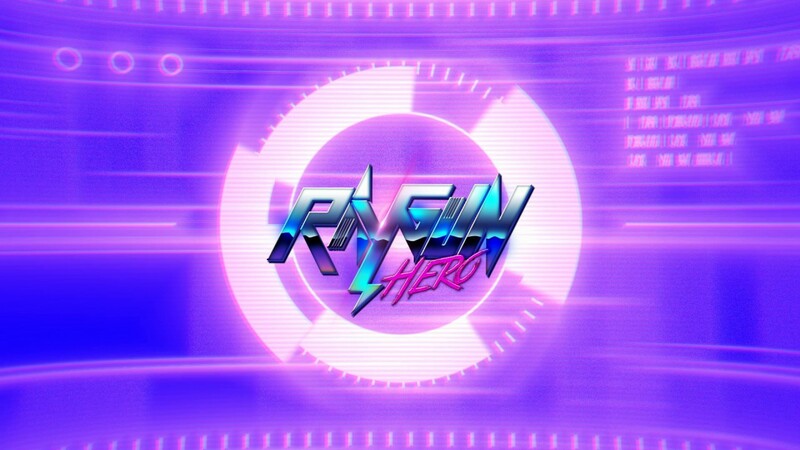 When did you start composing music and how did the «Ray Gun Hero» project appeared? It all started in the 80’s when my parents bought me a Roland Juno 106. I had wanted a synthesizer for years and they gave me this beauty for my 16th birthday. I was addicted to the thing! I craved to do more than just play around with it though. I wanted to record stuff. I worked small jobs aside from schooling at the time and saved up for a 707 drum machine and also picked up a used Tascam Portastudio cassette recorder. Now I was really having fun, but I still craved more. When I was 18 I invested all of my savings, along with a little help from my parents, and bought an Ensoniq sampling synthesizer. I was big into hip-hop at the time and was then running to used record stores and buying up old funk records I could sample. Soon after I got big into DJ’ing and purchased some Technic 1200’s along with a Numark mixer. I was DJ’ing clubs while in college and also started a rap group with 2 friends. We actually recorded a bunch of tracks at a studio in New York City, but it was hard to make it back then. Unlike today’s day in age with the internet you had to know someone in the music industry to get promoted. There was no such thing as social media at the time. The rap group experiment fizzled out, but I continued DJ’ing for a good 10 years spinning at different clubs. I then hung it all up and sold off all of my equipment in early 2000. It wasn’t until 2016 that I craved to produce music again. With the purchase of a DAW, a few VST’s and a midi controller I was well on my way again. Hence Ray Gun Hero was born. Tell me about your family. Do they know what you are doing? If so, how do they treat it? I am a big family man as well with a beautiful Brazilian wife and two beautiful twin teenage daughters. They are my life!!! All else means nothing without my family! My wife thinks it’s pretty cool and supports everything I do. Now my kids think I’m the COOLEST dad on the planet! They are teenagers and are quick to show their friends any of my latest releases. I think they just like showing me off. Ha ha ha. I guess it would be kind cool if you had a dad that was on Spotify. How is the music composition fits with your main activity? How much time do you spend on music production? 3-4 nights a week I’ll spend an hour or two producing music and coming up with ideas. On weekends I’ll get some more time in, but in total only about 10-12 hours a week. Are you ready to quit your main job and fully devote yourself to music? Tell me, do you have any favorite synthwave producers? Right now at the top of my playlist is DEADLIFE («The Order of Chaos» is freaking AMAZING!) It’s been playing on repeat for a week now. I am also a big fan of Dance With the Dead, Battlejuice, Dan Terminus, The Midnight, Daniel Deluxe, Volkor X, Powercyan and Jordan F. I could go on for an entire paragraph actually. There is just sooooooooo much talent in the scene right now and I LOVE IT!!! I can listen to synthwave/retrowave/cyberpunk all day and night. My favorite track by Ray Gun Hero is «Your Eyes». What’s your favorite own track? Hmmmm. I would have to say it’s a track that is being released later this year on my next full length album. It’s EPIC. Of the stuff I have released, «Your Eyes» high on the list for me, but I would have to say «Robot Disco». I think it’s because it was the first track I added my own vocals too and it has a little bit of a breakbeat/hip hop feel to it. Were there any moments, when you would like to stop? Just quit everything and stop writing music. If so, how did you deal with this? I do take time off from producing, but not because I want to. It’s when family life is real busy or when I have to business travel for work. But even when I travel for work I think up ideas and melodies for future productions. There is an opinion in the community, that the most of synthwave releases are darksynth. How do you look at this? Darksynth sounds BADASS!!! So I am totally cool with it. Oh, that reminds me. I forgot to mention Occams Laser above. His new album «New Blood» is freaking rad! What is your recording setup? What DAW and VST’s are you using? It’s very simplistic actually. I run the latest version of FL Studio on my gaming laptop along with a couple of midi controllers and some monitor speakers. Although, most of my creation comes late at night in bed with my mini AKAI controller. I actually only use my home studio on weekends or when I am fine tuning a track or recording vocals. As far as vst’s go, I tend to use the same ones. I’ve very recently become hooked on Serum and use it all the time now. I’m addicted to it! The ones I primarily used on the Plethora album were Synth1, ANA by Sonic Academy, Nexus, and some TAL-U-NO-LX. I use the stock EQ in FL and Valhalla for a lot of my reverb needs. What’s next for Ray Gun Hero? Do you have any future projects? Oh yeah! Big things in 2018. 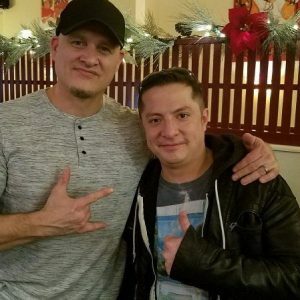 I am currently working on a collaborative EP with Straplocked. If you’re a fan of our track «Killer Instinct», you’re going to absolutely love this EP! High energy and lots of guitar shredding from the master Straplocked himself. We anticipate releasing it sometime this summer. I’ve also got a few collaborative vocal singles I’ll be releasing this year as well as a full LP come November/December. The album will be a bit darker synth with a heavy cyberpunk/sci-fi feel. I get excited just thinking about it as I’ve completed a couple of the tracks already. As I said, Ray Gun will become a comic book character that will coincide with the release of the album. The story is still being written and my comic book artist has a lot to do. It will be a web comic, but it will not appear before the release of the album. I’ll also be performing in August at the NEON Retrofuturism Festival in Rhose Island, US. I can’t freaking wait for that. What is your biggest hobby, after making music, of course? How do you spend your leisure time? I’m heavy into bodybuilding and «throwing the iron around». I do heavy weight training 4-5 days a week. I usually train during weekdays when I get home from work. It’s a great release of stress and gives me a natural high. Other than that I spend as much time as I can with my twin daughters, but they are teens now and getting to the point of wanting to hang with their friends all the time. Ha ha ha. Chilling out with the wife and our dog while watching some Netflix and drinking wine happens a lot in my household as of late. You are going to a desert island. Three albums, three films & three books that you would take with you? Thanks for the interview, Todd! It was a pleasure to get to know you better. I wish you good luck and all the best with the future projects. Any last words for Russian community? I want to sincerely thank all of my Russian fans. Apparently I have quite a fan base in Russia. I look forward to producing more rad music for all of your ears!!! Thanks for the support!!! I really had fun with this interview.